American jam band Phish has lined-up 26 shows within the third quarter of this year, and thank your lucky stars because there's one happening just in the neck of the woods. 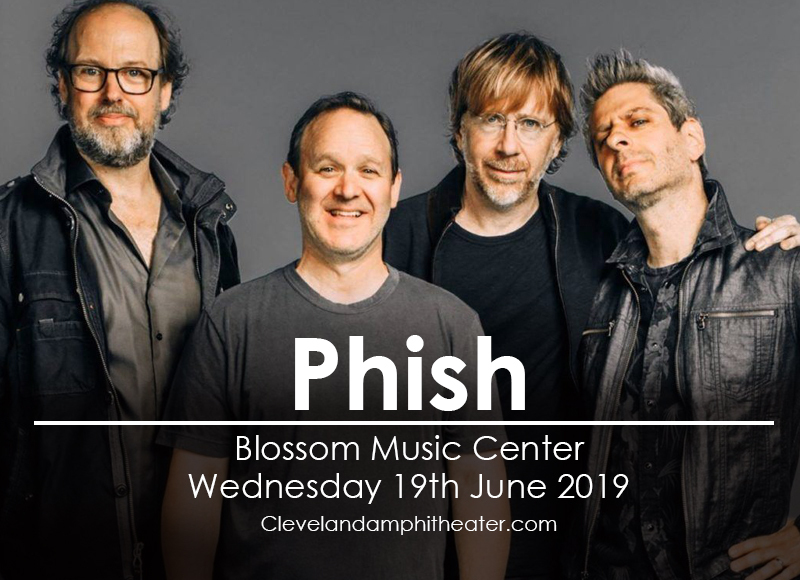 Phish is coming your way on Wednesday, 19th June 2019 to deliver yet another riveting performance at the Blossom Music Center. Why do fans flock to their shows year in and year out? It's because fans always expect the unexpected. They have never played exactly the same way in every show. You've got to be there to believe it! And why are tickets selling out quickly? Their most devoted set of fans multiply each time as they bring in new mesmerized recruits into the Phish fold. You'd be kicking yourself if you miss this. Hurry, book your tickets now! The history of jam bands would not be complete without the astonishing contribution of Phish, who was one of the pioneer bands who blazed new trails for the jam band genre. Phish has been jamming since 1985, and whose current line-up include founding members Trey Anastasio and Jon Fishman, then followed by Mike Gordon, and Page McConnell. They haven't quite achieved mega success measured against mainstream standards. Yet their moderate chart hits which include "Free" and "You Enjoy Myself," and their wildly creative genius on the wild stage, propelled them into heights of record-breaking sell-out shows, and continuously growing fanbase that could fill the biggest venues with multiple shows worldwide. Phish's musical improv style is out-of-this-world. The Boston Herald best describe it as: "Phish has played some 1,500 shows. They have never. Not once. Not ever. Played the same set list. Never the same songs in the same order. Oh, and in 1,500 shows they've played something like 800 different songs." If you've seen them play before, you're in for an astonishing surprise. If it's your first time catching them play live, you'll leave the show looking forward to the next one. Every ticket is a win-win, so don't lose this exciting opportunity of a lifetime!